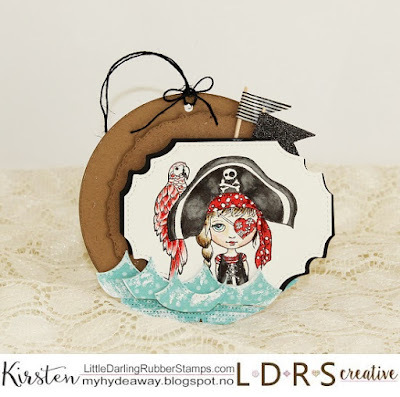 It's getting closer to summer, so today I am showing you a maritime summer pirate card-tag. 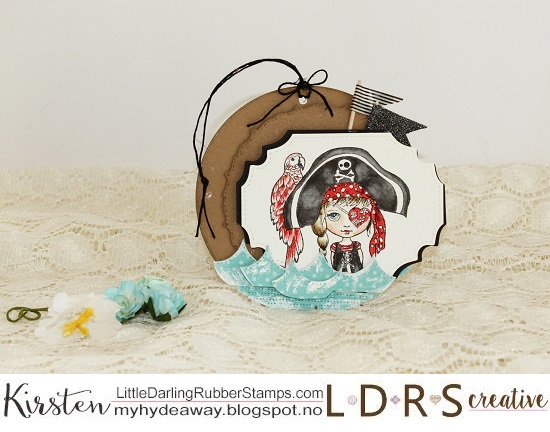 I have used the Corsair stamp. The stamp has been coloured with distress ink. 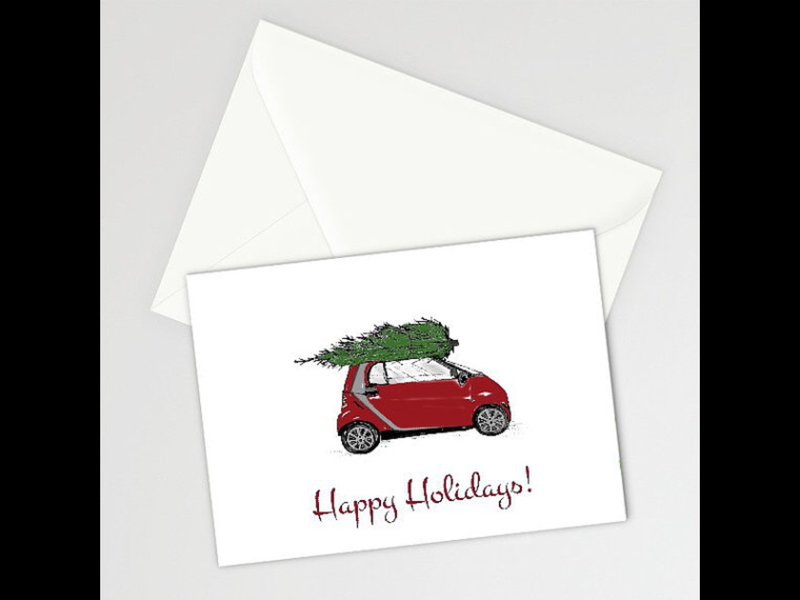 The motive has been cut out with a die from the Fancy Rectangles & Layers Die Set. Daisy Daisy - 6x6 Paper Pack, created with the lace in the Basic Cutting Edge Borders I. I have used gesso and glitter on the waves for effect. The tag card has been created out of kraft cardstock with the Fancy Circle die set and Grace - Build A Card dies set.